If you watched last week’s premiere of RuPaul’s Drag Race All Stars 3, then you saw Brooklyn-based queen Aja drop the deadliest death drop that has been death-dropped onto the reality show’s runway. (Though we hear the technical term for the dance move is “a dip.”) Seeing Aja climb onto that elevated platform, fellow competitor Milk muttered aloud, Is she gonna jump from there? while Morgan McMichaels looked on in horror. And then … shablam! She did. Spoiler alert: The below story does contain some spoilers from All Stars 3 episode 1. 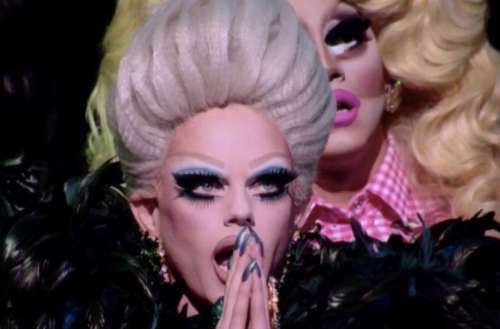 Since then, a meme called Is She Gonna Jump From There (#IsSheGonnaJumpFromThere) has been trending on Twitter, with Drag Race fans piecing together famous scenes of performers leaping from great heights, intercut with Milk’s dramatic question. In case you missed it, Aja’s amazing death drop allowed her to “lip sync for her legacy” at the end of the All Stars 3 episode against BenDeLaCreme for the chance to eliminate one of her sisters. They both performed to Nikki Minaj’s “Anaconda,” and while there wasn’t really a clear winner from their performance, as they each took different approaches to the track, Aja was more Nicki Minaj while BenDaLaCreme was more … Bea Arthur? In the end, BenDaLaCreme’s comedic timing gave her the chance to send a queen packing. 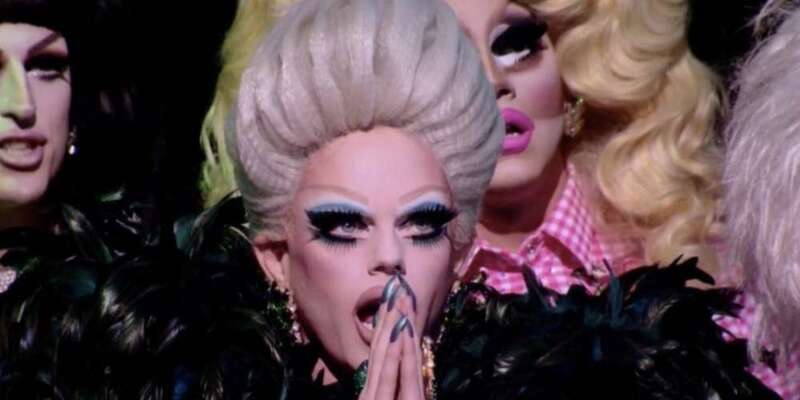 That queen ended up being Morgan McMichaels, whose spot in the competition was unfortunately dealt a death drop of its own. But, hey, thanks to Morgan we have the best thing to come out of All Stars 3 thus far: The Is She Gonna Jump From There meme.